Ron Paul, a Pittsburgh, Pennsylvania native and retired politician, has long been a progressive leader on America’s political stage. Over the course of his stints as a presidential candidate and congressman, Paul hasn’t been afraid to speak out on controversial, yet pertinent issues, like gun reform and marijuana use. Interestingly, this ‘no-filter’ attitude has been reflected in his fiscal/economic beliefs as well, with Paul mentioning Bitcoin (BTC) in a positive context on a number of occasions. Most recently, on Thursday, Paul took to Twitter to ask his 600,000 followers about a hypothetical, yet intriguing scenario — If a wealthy person gifts you $10,000 for a 10-year investment, would you allocate the gift into Federal Reserve Notes, Gold, BTC, or US 10-yr Treasury Bonds? To the chagrin of traditionalists, Paul’s poll, which racked up over 90,000 votes, indicated that 50% of respondents would prefer BTC, 37% Gold, 11% US 10-yr bonds, and 2% Fed notes. While some may have been taken aback by the results, crypto enthusiasts took this in stride, taking to the thread under Paul’s tweet to butter Bitcoin up for readers. Regardless, Paul’s tweet and the monumental levels of support that BTC received indicates that cryptocurrencies are here to stay, just like a number of industry savants have indicated previously. The poll also underscores the fact that many, like ShapeShift CEO Erik Voorhees, are starting to fear that America’s economy and fiscal policy is poised to go down the drain, so to speak. This isn’t the first time that Paul, a forward-thinking, progressive politician, has actually conducted such an experiment. In early-December 2017, as BTC continually posted new all-time highs each and every day, Paul asked the exact same question, providing Twitter users with the same options. At the time, more than 54% of the respondents chose Bitcoin. So, seeing that this figure has barely changed, even amid bearish market conditions, is undoubtedly a positive sign for crypto’s long-term, multi-year prospects. 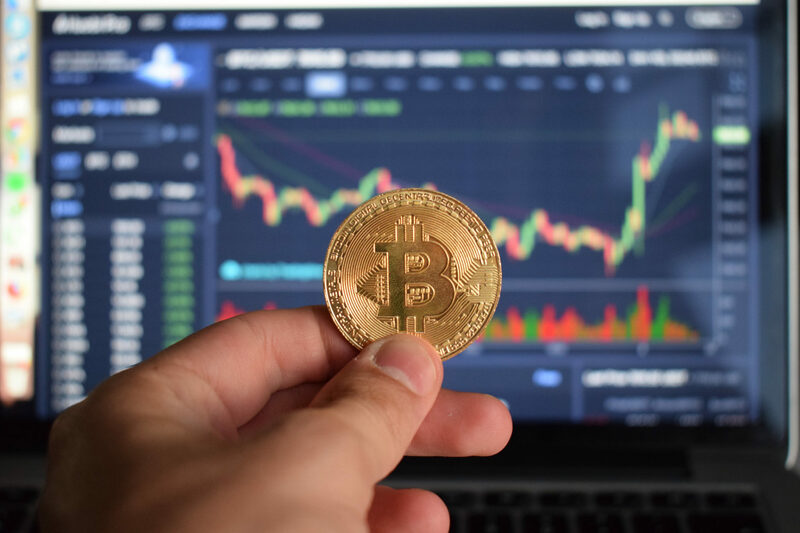 In a nod to Paul, Ran NeuNer of CNBC’s Crypto Trader, a topic of controversy in the cryptosphere as of late, made a similar poll, asking his followers the same question, but making the options crypto-related. In NeuNer’s case, 52% favored XRP, while 39% had a penchant for BTC. This poll comes just weeks after Paul released an installment of his recent column bashing the U.S. Federal Reserve. In the piece, in which the politician called the Fed “crazy,” Paul explained that centralized banking catalyzes income inequality, inflation, and a series of other issues that Bitcoiners hate. So, he went on to tout Bitcoin and precious metals, like gold and silver, as a way to mitigate the issues. In June, he made a similar comment in a Mises Institute op-ed piece, titled “The Dollar Dilemma: Where to From Here?,” touching on the power that blockchain technologies and crypto assets actually hold, despite their nascency.